A dry trend continues into the weekend, with slightly warmer temperatures and higher humidity. It will be mostly sunny, with highs in the upper 70s. There will be a low risk of rip currents. Sunday should bring similar conditions, with more great weekend weather. 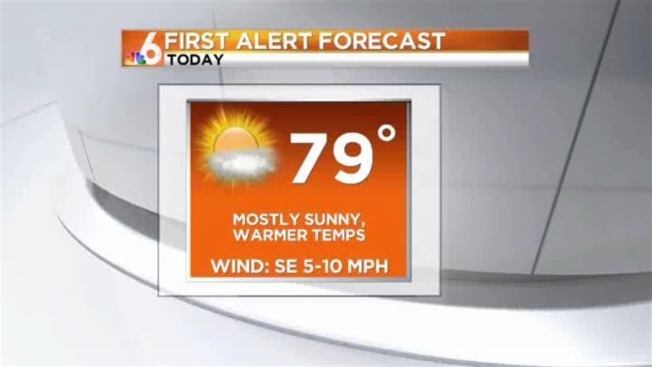 Highs will again be in the upper 70s. The start of the work week will have a higher risk of showers to start, as a cold front comes through mid-week. Temperatures will drop just in time for Christmas Day.